When you buy a phone, you might buy it for the design. You might buy it for the camera. You might even buy it because it says "Samsung" on the front. However, there's a whole world of tech innovation going on underneath those battery covers that rarely gets the spotlight. 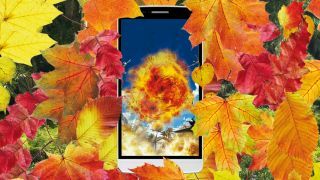 Every year chipset manufacturers like Qualcomm are quietly defining what our phones are like to use. And they always have. We may notice the changes Google and Apple make to iOS and Android more, but every major move they make happens because a chipset's tech has allowed it. So what exactly were those tipping points that marked out those generations of phones? And what's coming next? We're knee-deep in the most important phone chipset change in years: we're going 64-bit. 64-bit chipsets aren't restricted to the top phones either: virtually every 2015 Qualcomm Snapdragon CPU is 64-bit. We've already seen how low (in price) these chips can go too. The Huawei Ascend Y550 has been on sale for as little as £54.99 ($83, $106AU), and it uses a 64-bit Snapdragon 410 — not even the bottom model in Qualcomm's 2015 line-up. Why should you care? 64-bit chipsets are going to blow apart the bottleneck in performance that 32-bit chips currently suffer from. It allows for more RAM, and lets the CPU crunch far more data simultaneously. You may be thinking: what bottleneck? We've had more power than we've really needed in our phones for years, right? Well, it's all about future convergence. Soon there may be no need for laptops and desktops for editing video, making music, and more. Heck, they're likely to become our primary gaming devices soon enough. It sounds far-away, far-fetched right now, but wait until things like Microsoft HoloLens and Oculus Rift change how we interact with our computers. It won't seem too silly then. We're just at the beginning of that 64-bit road. And it starts with CPUs like the Snapdragon 810, Qualcomm's flagship system-on-chip for 2015 used in phones like the LG G Flex 2 and HTC One M9. But let's step back to where it all started. Smartphones hit the big time in 2007-2008, with the launch of the platforms we know and love today: iOS and Android. The first Android phone was called the HTC Dream, also known as the T-Mobile G1 in the UK. The HTC Dream and its single-core 528MHz Qualcomm MSM7201A CPU were a big step forward. Finally we had a smartphone, other than the iPhone, made for normal people. To give you some idea how powerful it was, in the Geekbench benchmark test the HTC Dream scores 82 points. The Snapdragon 810-powered LG G Flex 2 scores upwards of 4000. Yes, the HTC Dream was slow, and Android was a young, buggy (but exciting) embarrassment. But back in 2008 it seemed like a revelation. There was a lot of work to do. In the first few years, the things we tend to deride today really mattered. Clock speed was important because back then we really didn't have enough power. We weren't swimming in the stuff like we think we are today. Every megahertz increase counted for a lot less too. To understand why, we have to look into how chips work. CPUs are made up of millions of transistors, the cells of their brains. Back in 2007 they were as large as 90 nanometers across. That is just a tiny fraction of a millimetre, but today we're dealing with chips just 20nm across in the iPhone 6 Apple A8 and Snapdragon 810. Smaller transistors equals greater efficiency. And better performance per megahertz. Because Google's Android software was so poorly optimised compared with Apple's iOS, Qualcomm had to lead the charge in the megahertz war. By 2010, Qualcomm had put a 1GHz processor in the HTC Desire while the iPhone 3GS was still using a 600Mhz chip. It was this chipset that brought us the first Android phone that really felt fast. And back then the technical superiority of Androids gave nerds across the globe bragging rights to lord over 'iPhone sheep'. Qualcomm owned these early years of the modern smartphone. In the same year it brought us the HTC Desire's 1GHz chip it also cemented a deal with Microsoft that saw every single Windows Phone 7 device use a Qualcomm processor. The one sour note was Samsung. The Samsung Galaxy S was the start of an important dynasty, and it did not use a Qualcomm CPU. But this was last time we'd see a Samsung Galaxy S-series phone not use a Qualcomm CPU in at least one variant: that was until the Samsung Galaxy S6 turned up without any Qualcomm smarts in sight.